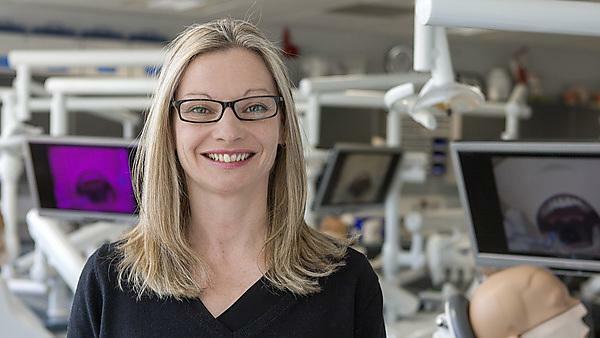 Sally Hanks, Associate Professor from Plymouth University Peninsula School of Dentistry, is one of only five dental academics across Europe to receive the prestigious Association for Dental Education in Europe (ADEE) 40th Anniversary Scholarship Award. She has also been made a Senior Fellow of the Higher Education Academy. Senior Fellowship of the HEA is awarded to educators in the higher education sector who have a proven, sustained track record in higher education teaching and management and who are seeking to progress into a leadership position. The research will investigate the nature of management and leadership behaviours and traits in primary care dentistry, and identify where and how the findings could be used to enhance standards of dentistry nationally and internationally. The study will employ methods of investigation which have not been used before within dental practice or education. Sally is also final year lead at Plymouth University Peninsula School of Dentistry and module lead for professionalism for both dentistry and therapy/hygiene. Her particular clinical interest is in dental behavioural management for patients with special needs and for those who have a fear of the dentist. With colleagues who specialise in patient and public involvement (PPI) activities, Sally also oversees a humanities module for dental students. Designed to help create a ‘whole practitioner’, in this area students undertake writing, art, music and drama projects (including stand-up comedy).